When you travel with Khao Sok Lake Tours we manage all the details for you, so you can simply relax and enjoy your holiday. 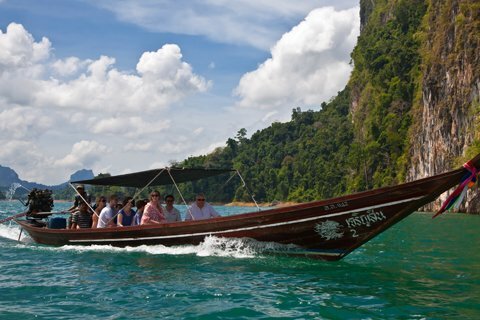 In Khao Sok Lake´s Private Safaris, you will have your own boat and English-speaking guide for the duration of your stay with us. Based on the type of accommodation you prefer, you can inquire about a Bamboo Bliss, Modern Comfort, Lake Superior or Luxury on the Lake experience. For DYI travellers who want to choose their specific raft house and activities, fully customized tours are also available at a higher cost. 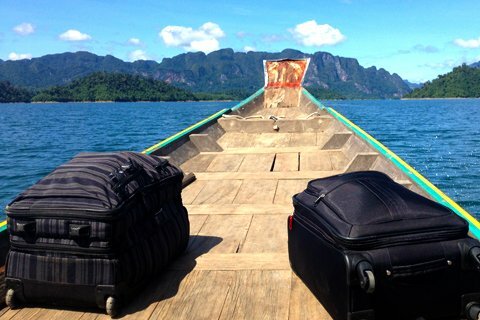 Either way, you're sure to have a good time booking one of these Khao Sok Lake Tours. Because transportation is a large part of the expense of visiting Khao Sok Lake, we are able to offer you a discounted rate by joining you with a larger group. Meeting other travelers is one of the best parts of spending your holiday abroad and makes experiences even more memorable. With the group option we guarantee the quality of your trip, but not the individual raft house.